Biggest Smartphone market, Google Play Store has many features and unique design of presenting its Apps. While many of the users don’t find any issues with it. But, things get worse when it starts showing some weird Popup with an only an error code. This is the most annoying feature of Google Play Store. It doesn’t actually says the problem, just a code. You need to figure out the actual problem after hours of research. I thought it would be a great help if I could combine the solutions for all the Google Play Store error codes. 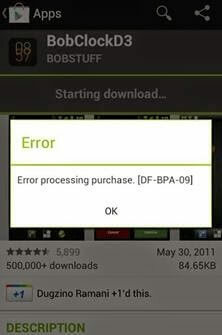 A common error occurs to Android users when they attempt to use Google Play to download apps that says “Error Processing Purchase DF-BPA-09”. The error usually doesn’t allow users to download anything and the problem will reoccur with every attempt. This issue can be caused by a problem on Google’s end. We’ve seen this error occur to massive amounts of Google Play users about once a month. So it is likely that you may just have to wait until the problem is fixed by Google and try to download an item from Google Play later. Other times, you may need to clear the data in the Google Services Framework. Follow these steps to see if it works for you. Locate and tap “Google Services Framework“. Google Play Store stored Data issue. 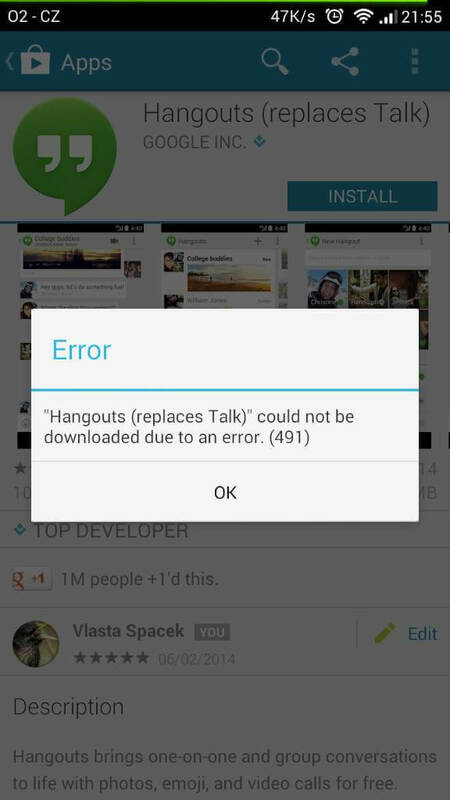 If you see this error and want to Fix Google Play Store Error 194, then first of all close Google Play Store. Now go to your Phone’s Setting. Then Go to Manage Apps or just Apps. There Find Google Play Store and then click on it. Once you are in Google Play Store Setting option. Now Click on Clear Data it will clear up any Data associated with Google Play Store including your Account Info. Once that’s done restart your Android Device. As soon as your device boots up , sync your account with Google Play Store. Go to play.google.com on your Computer’s web browser (preferably Google Chrome). Sign into your Google account (by hitting the sign-in button at the top right). Search for the app you wish to purchase and download. Open the app’s page up by clicking the title link. Above the row that will be highlighted, you’ll see several lines of code. Locate the “data-ispurchased=”true” code (near the bottom of the paragraph). Double click on the “true” in data-is purchased=”true” and change it to “false” then press enter on your keyboard. These methods might seem like a lot of work but hopefully one of these methods will solve the 403 error for your Android. Go to Menu > Settings > Applications > All > Google Play Store. Clear the cache and delete the data. Repeat the operation for “Google Services Framework”, “Google Apps”, “Google Talk” and clear the cache of your browser. Restart your phone, and check whether the problem is fixed now. If these manipulations have not solved the problem. You should have your internet connection, stable, hence check it once and make sure it’s stable. Delete the Proxy field and tap on Save. Note: It is safe to delete your account and re-add it. This method requires that you can go into a recovery mode like Clockworkmod Recovery. I am going to give you the most simple tricks first and then go to the harder one’s so that you may not waste time doing the hard one’s when you can easily fix the error with the simple ones. If you are facing Error 492 while Updating or Installing Apps from Google Play Store then try this trick first to see if you can fix the error. If you are Installing the App for the first time – Stop the App download and close Play Store and Reopen it and try Installing the app all over again and sometimes this works like magic. If you are Updating the App – Click on OK of the pop up box and then Uninstall the App which you were updating and Reinstall it all over again which might fix the error 492. This is another trick which has worked many times as the cache stored in system related to the apps can cause the errors to pop up and clearing it might solve the problem. Now go back to the All Apps list and Tap on Google Service Framework and repeat the same process of Clearing Data and Cache. Go back to your Play store and try updating or installing the app to see if the error is fixed if not then go for the next step mentioned in the post. In case you are using Customs ROM like Clockworkmod, Cyanogenmod or any such Custom ROM and you are not able to solve the Error with the above tricks you have to follow the trick mentioned below. In most devices of Samsung, HTC, LG, Motorola, Micromax etc the error 495 will be solved but if the error still appears you have to try this last drastic step which will surely fix the problem. This trick has worked according to some users and here is how you have to Reset App preferences in your Android device to fix error 495. Some times the linked Gmail account can also be the problem for error 495 to which we have to follow the steps mentioned below to solve it. This is the final solution for Error 495 in Play Store. The click on Remove Account in the page which will be either present on the right side bottom or the Top left of the page present beside the cancel sync button. Now go back to the Settings Page and Click on Apps and then follow the Tutorial mentioned above of Clearing Cache and Data for Google Service Frame work and Google Play Store. As one of our users has suggested by trying to activate Access location in Google settings on your android device sometimes the Error 495 has been solved and did not appear as the location settings can alter with the play store and stop some apps from getting downloaded in countries where the app is restricted. This should do the trick and get rid of the Error 495 and if you are still not getting rid of the error you have to try the next step as a last resort. This is the last resort and this will surely solve the error 495 problem in play store while installing apps. But in Hard Reset or also called as Factory Reset you will be loosing all your data stored on your device and your android device will be set to factory settings like new. So make sure you Backup all your data on your device, like contacts, images, videos, notes, reminders etc and then go for Hard Reset. Go to Settings > Privacy > Factory Reset, before you tap on factory reset make sure you also select Back up my data. Then you have to select on Format SDcard > Reset Phone and Erase all Data and Restart your phone to apply all the settings and in some devices it will automatically restart on its own. After you have completed all these steps you should go back to Google Play Store and try to install the app once again. These methods are common solutions to many android market related problems. 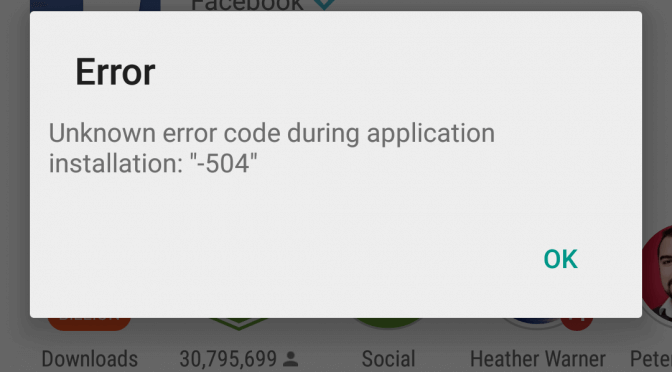 Are you having an issue with the error code 504 when trying to download apps on Google Play Store? It might have happened due to unknown data collision or some other unknown data error. Here are two methods to figure out the problem. The first method is to clear data & cache on Google Play Store and the second method is to remove the current google play account and re-add your account. Here we provide an easy instruction for your understanding! Let’s get it started! Go to “Google Services Framework”and select “Clear Data & Clear Cache”to remove all the data regarding Google Service Framework. Go to “Google Play Store”and Select “Clear Data & Clear Cache”to remove all the data regarding Google Play Store. Go to “Menu”and Select “Remove Account”, and then “Add Your Account”. Now “Restart”your mobile device and try to perform update or download. Go to Application and then press manage application. Then you have to click on clear cache. After that come to the home screen. Once you clear the data the problem will resolved. If your problem isn’t solved by using method 1, try using a different internet connection than you’ve used previously. It means, if you are using your mobile data to download and install or update the apps, you can try using your wi-fi network, or vice-versa. This method is reported to work in most of the devices by the users. Go to menu > settings > wireless and networks > mobile networks > access point names. Edit APN settings as one of your friend’s APN in the same carrier. The method 1 is the most commonly used, and you can try it first and in case it doesn’t work, you can try those which are given underneath. 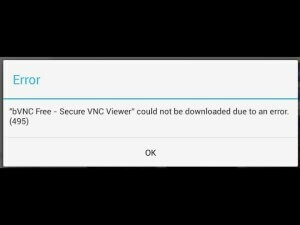 This is the first step and most simplest solution which should be followed immediately if you see the Error 921 in your device while installing an Application from Play Store. there are many Apps which do this for you and if you do not have any installed in your device before hand you can also try this go to Settings -> Application Manager -> Google Play Store App and you will find a Clear Data option which should be clicked on and a pop up box will appear asking us whether to “Clear Cached Data”. This step might do the trick and help solve the Error code 921 in your android device if this does not solve follow the next step. Clearing Data from the Play Store App will remove data and settings which were stored in Play Store and this might solve the problem if clearing cache was not doing the trick. For clearing data from Android devices you have to follow these steps: Settings -> Application Manager -> Google Play Store App -> Clear Data. If the upper two steps did not solve your problem of Error code 921 then you have to take this step which for sure will solve the problem from coming back. Go to System Settings -> Account -> Google -> Select your Google account -> Tap on the Menu button on the top right corner of the page -> Select ‘Remove account’. In most devices of Samsung, HTC, LG, Motorola, Micromax etc the error 923 will be solved but if the error still appears you have to try this last drastic step which will surely fix the problem. This trick has worked according to some users and here is how you have to Reset App preferences in your Android device to fix error 923. Some times the linked Gmail account can also be the problem for error 923 to which we have to follow the steps mentioned below to solve it. This is the final solution for Error 923 in Play Store. The click onRemove Account in the page which will be either present on the right side bottom or the Top left of the page present beside the cancel sync button. As one of our users has suggested by trying to activate Access location in Google settings on your android device sometimes the Error 923 has been solved and did not appear as the location settings can alter with the play store and stop some apps from getting downloaded in countries where the app is restricted. This should do the trick and get rid of the Error 923 and if you are still not getting rid of the error you have to try the next step as a last resort. This is the last resort and this will surely solve the error 923 problem in play store while installing apps. But in Hard Reset or also called as Factory Reset you will be loosing all your data stored on your device and your android device will be set to factory settings like new. So make sure you Back up all your data on your device, like contacts, images, videos, notes, reminders etc and then go for Hard Reset. 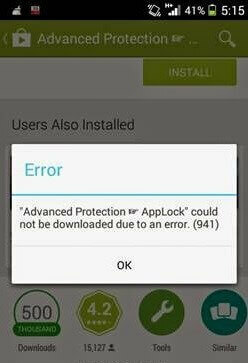 In most devices of Samsung, HTC, LG, Motorola, Micromax etc the error 927 will be solved but if the error still appears you have to try this last drastic step which will surely fix the problem. This trick has worked according to some users and here is how you have to Reset App preferences in your Android device to fix error 927. Some times the linked Gmail account can also be the problem for error 927 to which we have to follow the steps mentioned below to solve it. This is the final solution for Error 927 in Play Store. As one of our users has suggested by trying to activate Access location in Google settings on your android device sometimes the Error 927 has been solved and did not appear as the location settings can alter with the play store and stop some apps from getting downloaded in countries where the app is restricted. This should do the trick and get rid of the Error 927 and if you are still not getting rid of the error you have to try the next step as a last resort. This is the last resort and this will surely solve the error 927 problem in play store while installing apps. But in Hard Reset or also called as Factory Reset you will be losing all your data stored on your device and your android device will be set to factory settings like new. 1. Go to Settings > Apps > All > Google Play Store and clear cache and data. 2. In the same list, scroll down to Download Manager and clear cache and data for that too. Try the update again. Here you’ll refresh your Google Play Store. 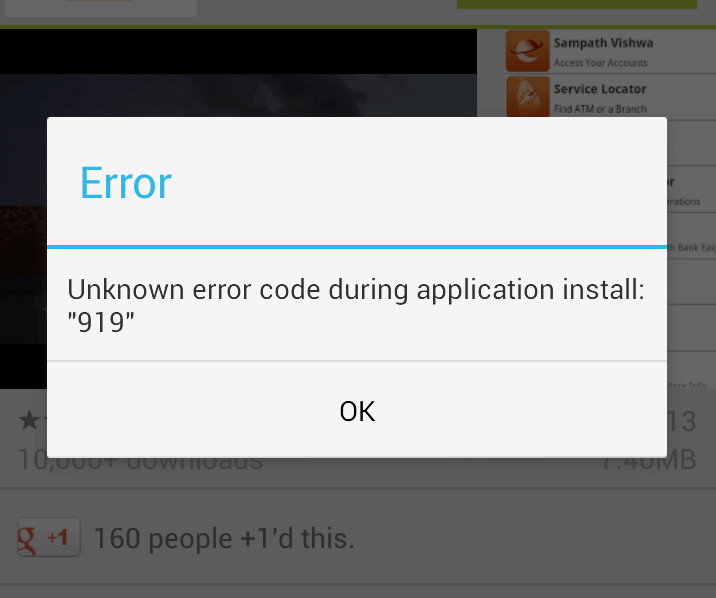 This will definitely solve / Fix Unknown Install Error 961 in Android Google Play Store. Let see here on How to do it. Go to: Settings –> Application Manager –> Google Play Store –> Force Stop, Clear Data. This method includes Recovery Mode where your device will boot in Recovery mode via which we will clear the system cache. Switch off your Android device and Hold Volume Up/Down & Power button until you see the Boot Selection menu. That’s it now you will no longer face the same error. This will completely remove this error from your Android Device. No Space Left On Phone : Your phone should have adequate space left to download and install apps from Google play, otherwise due to lack of storage space they won’t be installed. So free enough space on your phone. You will start getting error 927 in play store when your android phone’s storage becomes 200 MB. However in this much of space you can install few more apps, but this space is reserved by android for other android apps, so the play store app would not download any apps. There is only one solution that you downloadandroid apps apk and sideload them on your android phone. Just download the apk and install it on your phone, you will not any error. If your phone is running short of internal storage then either free up space or buy a new android phone with at least 16 GB of internal storage. If you are an experienced user then you may root your phone to increase internal storage. 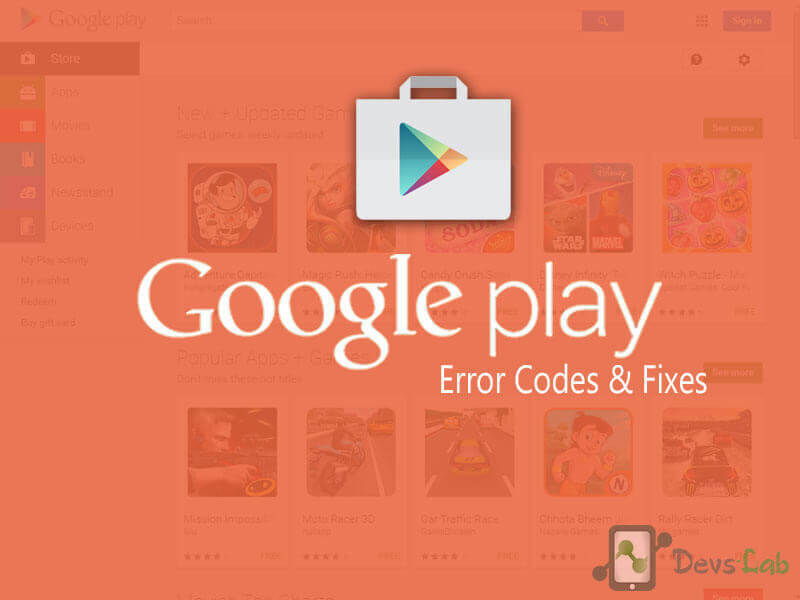 After following above tips the Google play store error 927 will be resolved. If you ever face it again then re-apply these tips. The solutions for the errors described below are based on my personal experiences . If you encounter any other problems with Google Play, feel free to contact us in the comments section. Please let us know is any of the above methods didn’t work for its Error code. If you have any other easy method to solve any of this error. Please let us know in the comment section.